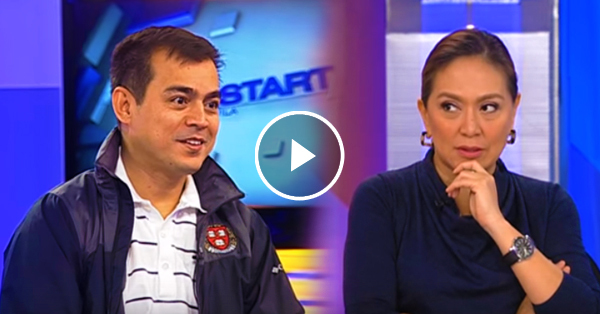 Isko Moreno humiliated Karen Davila in an interview? Better watch this! Home / News / Isko Moreno humiliated Karen Davila in an interview? Better watch this! When the Vice Mayor of Manila Francisco Domagoso announced that he will be running for the senatorial position for the 2016 elections, he will not get away with the interview to know if he really is fit to be a senator. Everybody was expecting that Karen Davila would be tough on him. However, Isko showed the people that he is ready to answer the questions. One of the topics that they talked about is the insight of Moreno towards the issue of Bong Bong Marcos and his family. But he amazed everyone with his opinion saying that the mistakes of Ferdinand Marcos should not be blamed towards his son. He also said that the only time that people could judge them is when they are proven guilty of the accusations being thrown at them.